This is the basic standard package for organizations. This is for organizations that sponsored at the $5K, $10K, or $20K level. This is for organizations that sponsored at the $1000 or $2500 level. This is the registration to request a semi-private interview space. 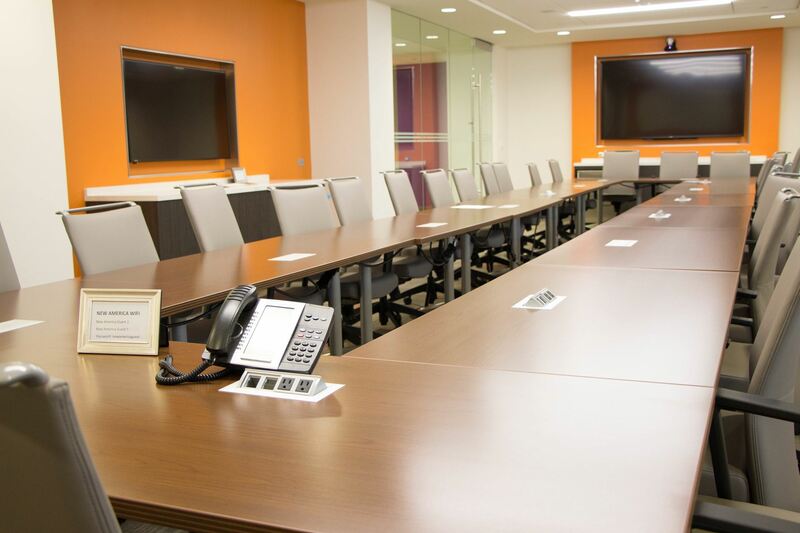 The conference room where the spaces will be held is shown in the event description. Currently we hold 6 spots for companies. The National Society of Black Engineers Washington DC Metro Area Professionals Chapter (NSBE DC) invites you to take part in our annual Corporate Mixer and Professionals Career Fair on Wednesday, May 30 from 6:00 pm - 9:00 pm at New America Headquarters, 740 15th Street NW, Suite 900, Washington, DC 20006. Interview space will be provided in the New America Conference Room. The room is pictured below. We will place companies in 6 separate areas in the room to talk to individual candidates in a semi-private setting. If interested, please indicate so by emailing Finance Chair Chinomnso Maduka at finance@nsbedc.org. Priority will be given to those who provide sponsorship. If you have pledged to sponsor at the Partner Level and above, please inform Finance Chair Chinomnso Maduka at finance@nsbedc.org so we can process your discounted or free table. Please direct all other questions to Richard Ezike at president@nsbedc.org. There is a parking garage at 1425 New York Ave, a 2-minute walk from New America. The cost is $11 after 5 pm and the garage closes at 11 pm. NSBE DC will cover your parking costs.